Knowing you can trust your orthodontist is key to successful treatment. You’re the one who has to live with the results of their work, after all! The good news is, the world of orthodontics has come a long way, and you have many options. As you survey the possibilities and explore which one might work for you, chances are good that you’ll talk to several orthodontists. Because each one will want your business and will, therefore, present themselves in a positive light, how can you tell if a certain specialist isn’t a good fit? What treatment do you recommend, and what are all my options? Chances are good that you won’t have to ask this question outright. 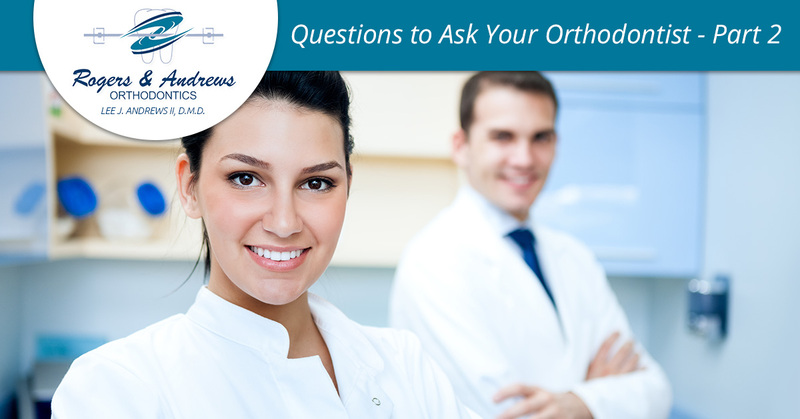 If you’re headed in for a consultation, the whole point of the appointment is answering this question. However, it’s important to stay aware that there are several ways to come at whatever issue you’re facing, and just because an orthodontist is convinced one way is right doesn’t mean there are other options. By gathering multiple consultations and solutions from multiple orthodontists, you can empower yourself to make a truly informed decision for your treatment. Remember, the treatment shouldn’t just fit your dental issue; it should also align with your budget and lifestyle. How much will your recommended treatment cost? This is one of most worrying questions for most people. They see that orthodontic treatment generally lasts for two years, and imagining paying for treatment that long is pretty daunting. That makes sense. The thing is, orthodontic treatment isn’t that difficult to pay for, especially when orthodontists offer financing plans like we do. The lump sum may seem like a lot, but you’ll be paying it over a long stretch of time, which makes it entirely feasible. That being said, don’t be shy about asking for price and comparing what different orthodontists say to you. Again, you need to be able to make an informed decision for your teeth and your budget. Have you treated cases similar to mine? Orthodontists go through extensive training designed to equip them to handle any situation. However, training is different from years of experience. If you know your condition is a little out of the ordinary, make sure your chosen orthodontist has experience treating it. You don’t want to be part of a specialist’s learning curve. Instead, ask for pictures of cases similar to yours. You’ll be able to see how well the orthodontist handled the issue, which will make it easier to decide if you want to look for someone else or start treatment. When it comes to your teeth, you need a team you can trust. Our team is here to help you in Augusta. Passionate about making you feel confident and comfortable, our specialists and support staff have the experience required to give you the results you need. We would love to meet with you and discuss how we can improve your dental health with orthodontics. Contact us for an appointment today!